AnnouncementsNCBBA Signs Three-Year Extension with Wilson Sporting Goods! NCBBA Signs Three-Year Extension with Wilson Sporting Goods! CollClubSports and The National Club Basketball Association are excited to announce a three-year extension with Wilson Sporting Goods. 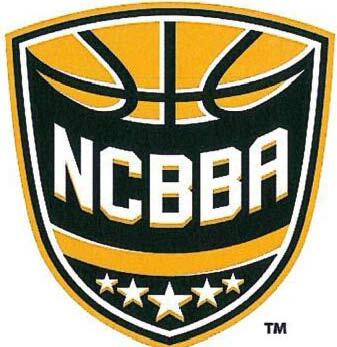 Wilson provides the NCBBA with one of the premier basketballs on the market adorned with the NCBBA Shield Logo. Additionally, the new contract extension will continue to provide teams with three complimentary game balls each season with their NCBBA membership. The NCBBA is proud to have the Wilson Evolution basketball serve as The Official Basketball of The National Club Basketball Association. “I’m thrilled that the NCBBA and Wilson have signed this three year extension. Our partnership with Wilson has provided our teams with the best basketball on the market, at an affordable price.” said Eric Curitore, Marketing Manager for CollClubSports. Wilson combines Composite Laid-in Channels and Cushion Core Technology to enhance the feel of the ball and increase its grip ability. Add a Microfiber Leather Cover and you have a basketball that truly delivers maximum grip and allows the highest amount of player control. Teams that are interested in ordering more Wilson basketballs at anytime during the season are encouraged to do so. For more information on the Official Basketball of the National Club Basketball Association or to place an order, contact Joe Shaffer at Joe.Shaffer@CollClubSports.com or by phone at (412) 321-8440 ext. 106.